La Jolla was the site of this year’s UC Summit, the annual gathering of the top innovators in unified communications – and Datalink Networks was there. At Datalink Networks we’re all “Lync Evangelists” — which comes naturally to us, as we enjoy all of the features of Microsoft Lync in our own organization on a daily basis. From IM Presence to screen-shares to simply talking on the phone, Lync has revolutionized the way we conduct our own business. 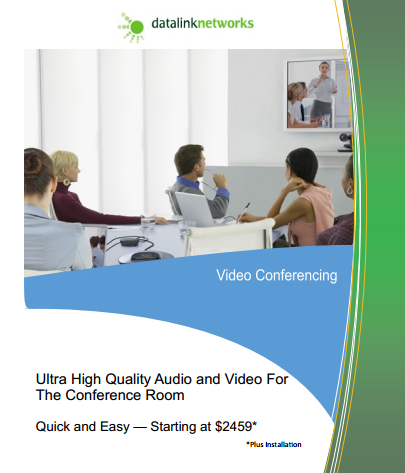 But frankly, the one feature of Lync that has gotten a little neglected in our office has been the videoconferencing feature, mainly because we did not have a truly high-quality video system. That’s all changed thanks to our friends at Logitech, who continue to amaze us by releasing cutting-edge peripherals at price points that seem to be unimaginable. The compact console contains omni-directional, full-duplex mics with acoustic echo cancellation and noise cancelling, which allows you to hold your conference despite everything else that’s going on in your busy office environment.